"How to Write a Church Business Plan"
I hope everybody had a Blessed Memorial Day! I have tips on how to write your Church Business Plan, VBS Ideas with free certificates, forms and more and Contribution Receipt Requirements. So take a quick moment to check these out along with the new forms available. Do you have a new or established church that wants to grow? If so, you need to write a business plan that will lay out your vision and provide the detailed information for the future. It's not easy to write a solid, working business plan because it requires a lot of your time and thought, but it's well worth it once the plan is written and approved. 1. Develop Mission & Vision Statements - You need statements to help explain where your church is going and why you want to get there and the principles that guide the organization. 2. Conduct Market Research - This will determine if there is a need for what your church offers in the community. Make sure to get the opinions of the people who live in the community. 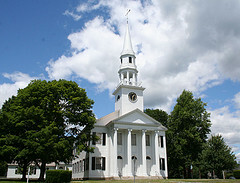 Provide detailed information about competing churches in your area to find out what they offer and who they appeal to. Provide detailed information on how your church can fill in gaps with ministries to various age groups and community activities. 3. Create Marketing Plan - This plan should explain how you will let prospective attendees how about your church and its unique offerings, such as by advertising your worship services, Bible studies and children's activities in the local paper. Don't forget to include a plan for building a website, getting free publicity through local publications and radio stations, and encouraging your congregation to invite others to join your church. 4. Describe Management Team - Explain in detail including their past experience in helping the church grow the management team that will be implementing the plan. If they don't have experience at other churches, discribe any other business successes they have achieved. Include a little background information on the people who will be impacting the plan's success, such as the Pastor and Youth Fellowship Leaders. 5. 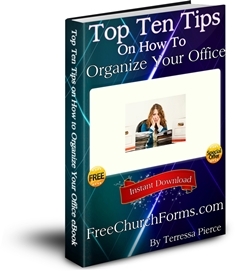 Outline Daily Operation of Church - Explain in steps the daily operation of your church including the duties of the administrator, minister, staff and volunteers who lead studies or group activities. Describe the church facility where you hold services and classes, and insert costs involved in moving to a larger facility once membership increases. List the equipment you will need over the next few years for the church, and this sectin should alsi include the insurance coverage the church carries. 6. Provide Financial Reports - Provide the church financial information as the final section of the plan including operating budgets, last 3 years of financial statements as well as 3 yars of forecasted projections including profit and loss statements. The profit and loss statements need to have all the potential contributions made to the church as well as expenses (Pastor's salary, utilities, rental space, etc.). Also include information on how your church qualifies as a non-profit organization to stay exempt from paying taxes. 7. Write 1-3 Page Executive Summary - This is the last step but place it at the beginning of the plan. This summary needs to express the most important parts of the plan so that's why it's best to create it after you finish your plan. Click Here to download the Free Church Sample Business Plan. The final weeks and days before Vacation Bible School can be very overwhelmingly busy. This is especially true for the teacher who feels she is carrying all or most of the responsibility single-handedly. No matter how stressful it might be seeing those happy little faces when learn more about Jesus and have fun at the same time makes all the hard work worth it. I have some forms and VBS (Vacation Bible School) ideas that might make it a little easier and help relieve some of your stress. Click the link below for to access the VBS Flyers, Certificates, Registration Forms, Volunteer Registration Form/Questionnaire, Planning Guide, Games/Activities, Budget Worksheet, Followup Ideas, F.R.O.G. VBS Materials, Craft/Bible Quotes, Frogs Coloring Book and Much More! 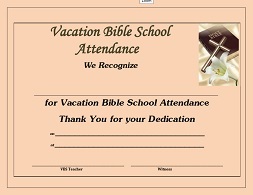 Click Here to download the Free Vacation Bible School Forms, Certificates and More. When should you send out donation receipts? Receipts or acknowledgments can be issued gift-by-gift, monthly, quarterly, annually, or any other frequency your church decides. 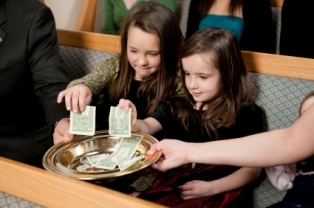 However, most churches send out annual contribution receipts on or before January 31st of the following year. Before you send them out, you should provide some sort of written communication to your donors regarding your timeline and that they should not file their taxes until they receive all contribution receipts for the tax year to ensure all their contributions were deductible. You could do this by posting a notice on the bulletin board, sending out a letter, including in newsletter, posting on church web site, etc. ...because not all contributions are tax deductible! Click Here to Read More on "Contribution Receipts Requirements" and the 6 requirements according to Richard Hammar J.D., LL.M, CPA that charitable contributions must satisfy. Click here for information on Shepherdbase - a church membership database that will track your member's information including contributions and will merge their contributions into an Annual Contribution Letter at the end of the year with a few clicks.